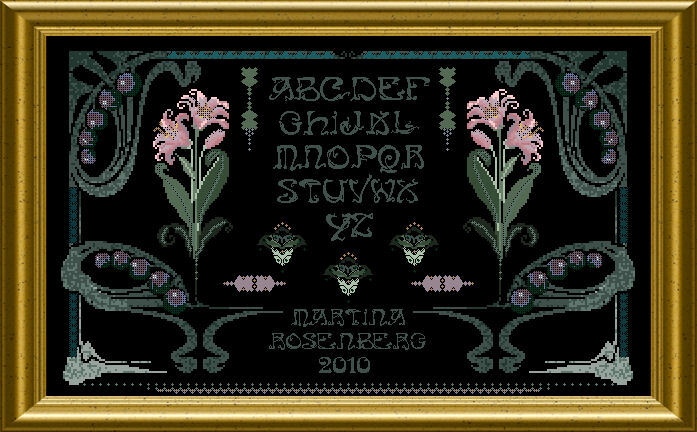 The elegant shapes and patterns of the Art Nouveau have been the inspiration for this sampler. 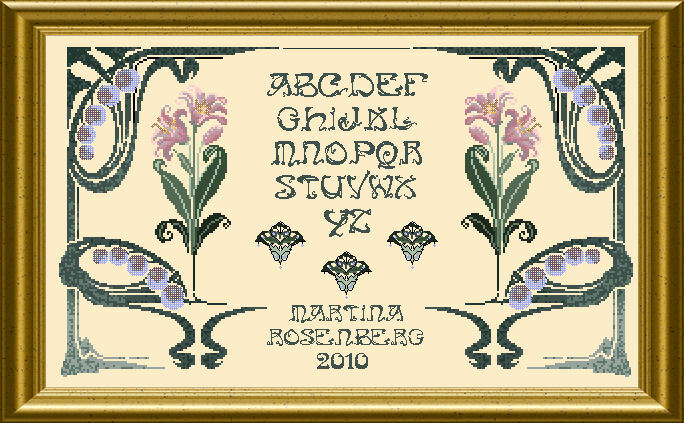 A beautiful Alphabet is surrounded by florals in the style of the time – beaded (!) fruit dangle from elegant stems. Filigree ornaments give a light and intricate feel. You will use a variety of threads, beads and sparklies in recreating this picture. Besides cross stitch you will use Special Stitches, which are well explained in diagrams. The mere design size is 287 x 168 stitches.